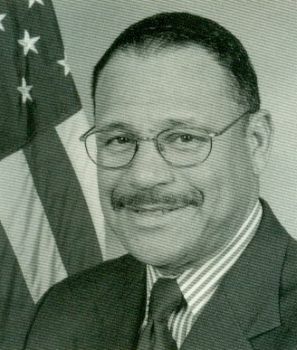 Georgia Congressman Sanford Dixon Bishop Jr. was born on February 4, 1947, in Mobile, Alabama to Minnie B. Slade, who was a librarian and Sanford Dixon Bishop, who was the first president of the Bishop State Community College. Bishop attended public schools until his entrance into Morehouse College in Alabama. He received a B.A. in 1968 in political science and then attended Emory University Law School, where he received his J.D. in 1971. Bishop also served the United States Army in the Reserve Officer Training Corps. After receiving his J.D., Bishop started a private practice in Columbus, Georgia and in 1977 was elected to the Georgia House of Representatives where he served until 1990. That year he entered the Georgia Senate. In 1992 Bishop won election to the U.S. House of Representatives. He still serves in that body. Bishop, a Democrat, represents the 2nd District of Georgia. He is a member of the Congressional Black Caucus and is also a part of the Blue Dog Democrats, a group of moderate to conservative Democrats in Congress whose goal is to move the Democratic Party further to the right. Since 2003 he has served on the House Committee on Appropriations, sitting on the Subcommittee for Defense, the Subcommittee on Military Construction / Veterans Affairs and the Subcommittee on Agriculture. Outside his political career, Bishop has received many awards for career achievements, including the Distinguished Eagle Scout Award from the Boy Scouts of America; the Spirit of Enterprise Award from the U.S. Chamber of Commerce; the Man of the Year Award from the Men’s Progressive Club of Columbus, Georgia and Friend of the Children Award from the Child Advocacy Coalition. He also has commendations from the National Federation of Independent Business, Georgia Association of Educators, the Georgia Municipal Association, the Georgia Council for the Arts, the Fraternal Order of Police, and the American Legion. He is currently a resident in Albany, Georgia, where he is a member of the Mount Zion Baptist Church.